The wise choice for lunch boxes! 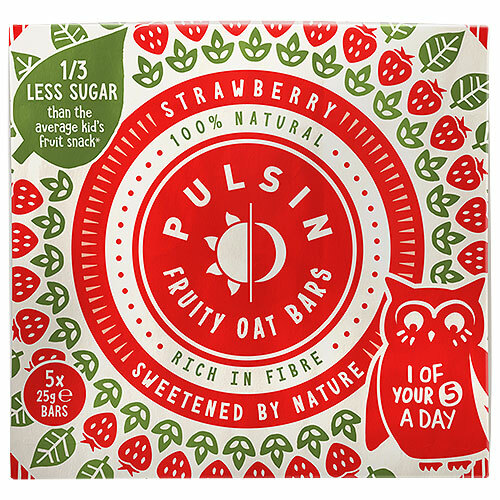 A deliciously wholesome snack for on-the-go kids and a tasty way to liven up lunch boxes, these bars have reduced sugar and are lovingly created for children. 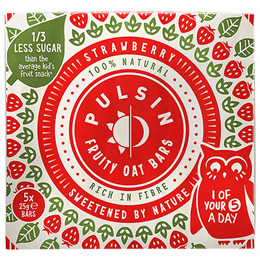 Below are reviews of Pulsin Kids Strawberry Fruity Oat Bars - 5 x 25g Pack by bodykind customers. If you have tried this product we'd love to hear what you think so please leave a review. A good buy if you only want a small snack or to give to children. Very tasty.